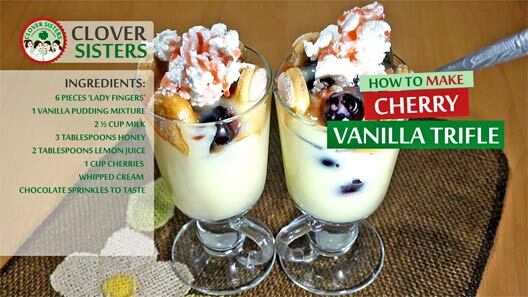 Delicious and light, combination of lady fingers, pudding, cream and cherries, all in one glass. 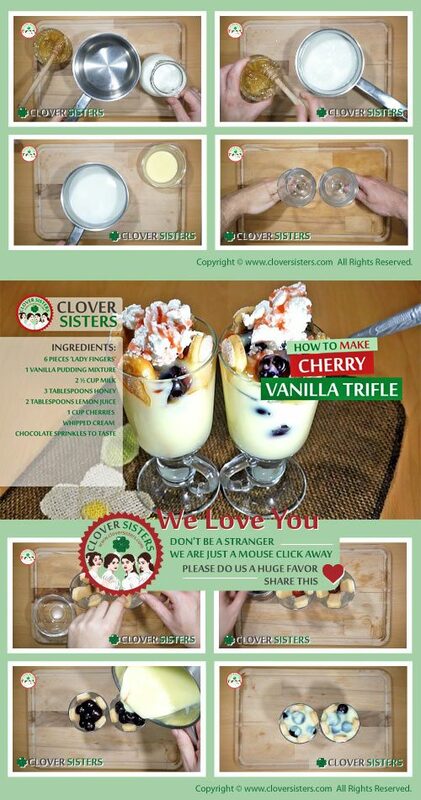 Cherry trifle is so easy to make. Prepare pudding of pudding mixture using milk and honey, follow the mixture recipe. In two glasses place the lady fingers uprightly if possible. Now spoon cherries in the middle, pour tablespoon of lemon juice into each glass, cover cherries with freshly made pudding and let it cool shortly. Add the whipped cream and chocolate sprinkles before serving.